DevOps for mobile apps - What is Mobile DevOps? Home Mobile app dev DevOps for mobile apps – Which specificities? Continued fragmentation and rapid proliferation of mobile devices, management tools and operating systems adversely impact the ability of DevOps to keep pace with mobile app releases. 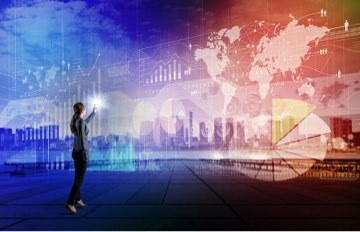 Mobile apps drive changes to back-end enterprise systems that require increased collaboration between the mobile and traditional development and operations teams. Mobile development projects typically have extremely aggressive time lines. Because of the strong business motivation to deliver mobile applications to market quickly, mobile development projects typically have extremely aggressive time lines. An inception-to-delivery period of a few months, or even weeks, is common. The pressure to deliver mobile apps quickly results in the adoption of agile development methods for mobile projects. App stores. Nothing is more hurtful to a brand than an app with a one-star rating, particularly when that rating is broadcasted through the medium of an app store. Unsatisfied users of consumer mobile apps can become public and visible quickly, regardless of whether the app is purchased or free. While complaints about issues with a website are communicated to a technical support desk, complaints about mobile apps are broadcasted via the app store for everyone to see. Mobile apps must undergo extensive functional, usability, and performance testing to ensure their quality. So how DevOps can address those requirements for mobile apps (Mobile DevOps)? Speed up development time. Speed is the key in today’s competitive business environment. Whether it is an enterprise app or a consumer app, DevOps’ agile methodology helps in reducing the time from conceptualization to actual delivery. Key aspects of development have been automated in this ecosystem, thus ensuring fewer mistakes, quicker deployment and easy integration of the various systems. With this, enterprises can adopt either proactive or reactive approach, whichever suits their needs. DevOps for mobile apps destroy silos. Mobile DevOps is a practice of bringing the different disciplines involved in developing, testing, releasing, and operating software into being functional inside organizations or by a team that works closely together. 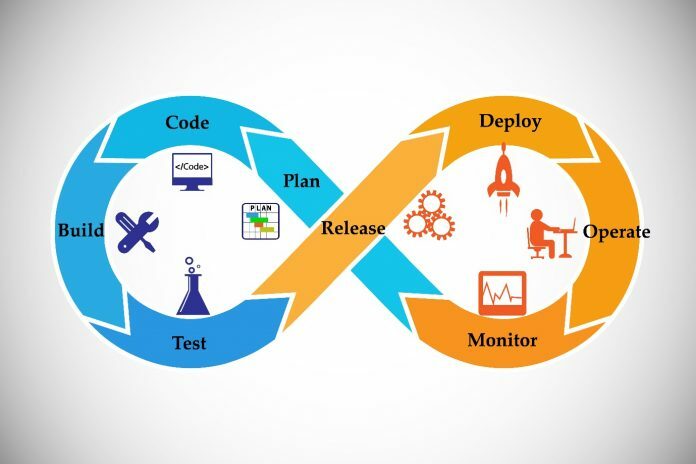 The scope of mobile DevOps is to get rid of silos and streamline the process between the build and the production (including testing and deployment) phases. By bringing together developers (Dev) and operations (Ops), the team is able to continuously deliver their product based on continuous feedback and iteration. Continuous integration. When you need to deliver the app faster with continuous updates, DevOps is the key. The adoption of DevOps for mobile apps starts from the source code building that includes the use of continuous integration. Each and every release should be pushed for real device testing. This testing setup should include a large number of real mobile devices used by the target audience. Mobile DevOps ensures a stable release and environment. Despite having limited time at hand, you cannot afford to make mistakes while creating apps. Thus, you need to address the problems even before the end users are impacted. Automates App Testing. Mobile app testing is one of the most important stages in the development process. It is also one of the biggest bottlenecks as traditional developers would manually verify the test scripts. Using DevOps for mobile apps the entire testing process is automated, thus saving your precious time. In fact, developers can adopt the testing-as-a-service strategy that allows them to test the entire app or selected features as and when required. As per this report, organizations practicing a DevOps approach tend to deploy 200 times more frequently, with 2,555 times faster lead times, recover 24 times faster, and have three times lower change failure rates. With more and more organization adopting a DevOps approach, it can become challenging to keep growing with the conventional business model. If you do not accelerate the process of producing satisfying and competitive mobile apps fast enough, you can be swept off in this fast-paced world. The mobile app delivery lifecycle has multiple stages that cover all aspects of creating and maintaining quality mobile apps from planning and building to testing and monitoring. Make sure to choose a Mobile Lifecycle Solution that provides confidence to mobilize your business and has tools for every stage of DevOps for mobile apps a.k.a Mobile DevOps. Previous articleWhat does Lean Six Sigma mean to your digital business?